If you've been stumped with ideas for a bridal shower or birthday party and need a hand up, we've rounded up just the right list for you to browse and get inspired. Whether you love the crunchy chocolaty goodness of the classic chocolate covered espresso beans or want to branch out and try something a bit more refined like coffee flavored French macarons (those dainty airy sandwich cookies made from almond flour) you should be able to get what you need right here and now. Coffee is used in all of the following treats, whether it is finely ground, whole bean, extracted as a flavoring syrup, or even brewed for maximum taste and additional caffeine. 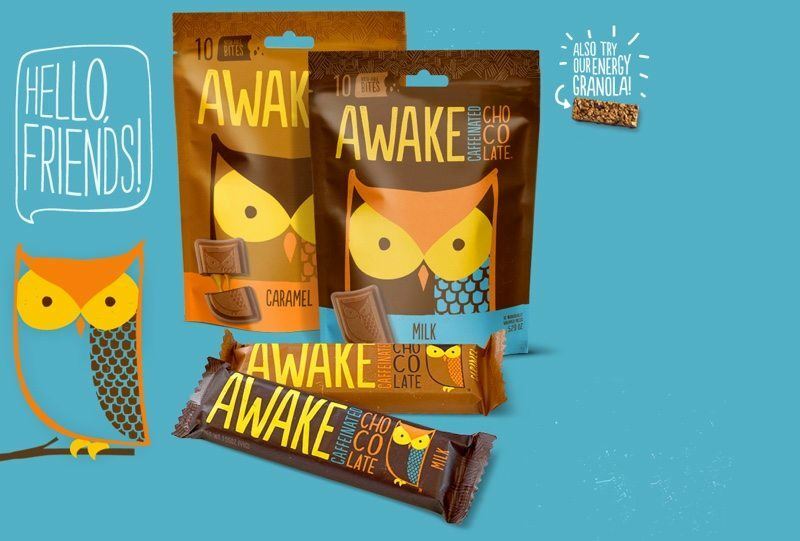 If it's a jolt you are looking for, we recommend the Awake Caffeinated Chocolate Bars, as they have as much caffeine as a regular cup of coffee. 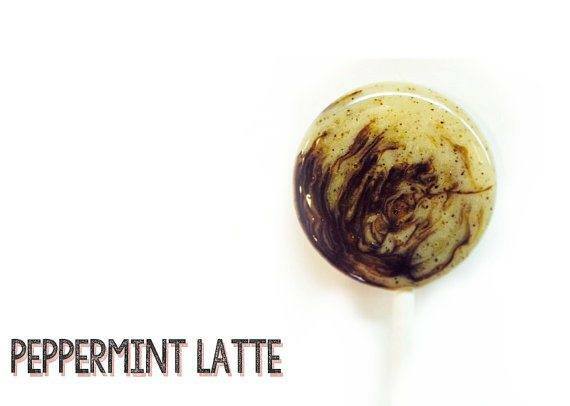 If you want the unadulterated bean itself, try the Coffee Bean Brittle or the Peppermint Latte Lollipops. No matter what you are looking for, you should be able to placate your craving and fascinate the senses at the same time. Find a coffee inspired way to entertain your sweet tooth. Try this southeastern local favorite for chocolate and coffee lovers alike wherever you live. This 70% cacao bar contains Mountain Air coffee for added tasting notes of caramel and fruit. Made in Asheville, NC by the small company called French Broad Chocolates, this bar is made from cacao beans, sugar, and coffee. The list of ingredients is so short that you can be sure it is simply tasty and not filled with any type of preservatives. When you don't like coffee or just want a different way to feel a surge of energy to get through the afternoon slump, Awake Chocolate is just what you were looking for to satisfy that craving. It comes in two flavors (milk chocolate and caramel milk chocolate) and is the size of a standard candy bar. However, it is infused with caffeine so that you can summon the energy to study, clean, or do whatever it is that needs to be done before the day is over. 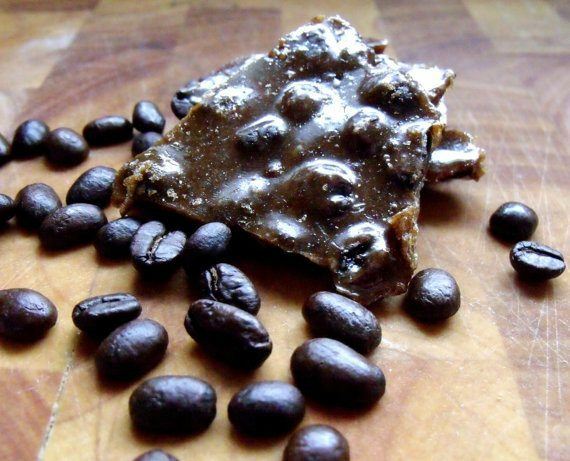 Everyone knows about the standard holiday peanut brittle, but this tired old candy staple has been revitalized (literally) with the addition of rich dark roasted espresso beans. Forget the nuts, just skip to the caffeinated crunch that will help you see the end of a long party or other formal drag. This is a sweet, crunchy, gluten-free, dairy-free, and also surprisingly vegan treat. You can enjoy this candy without worrying about your dietary restrictions getting in the way, unless you don't eat sugar…just don't even. This shop specializes in coffee beans coated in your choice of unique flavored chocolate. 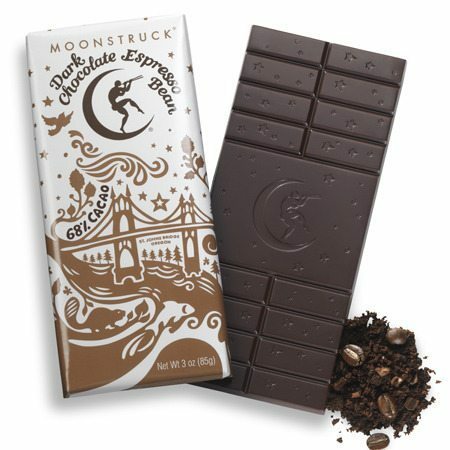 Select from mixed (dark chocolate, milk chocolate, amaretto flavored white chocolate, cappuccino flavored chocolate) dark chocolate raspberry, French mint, or dark chocolate for a melty crunch candy that also gives you the boost from real espresso beans. 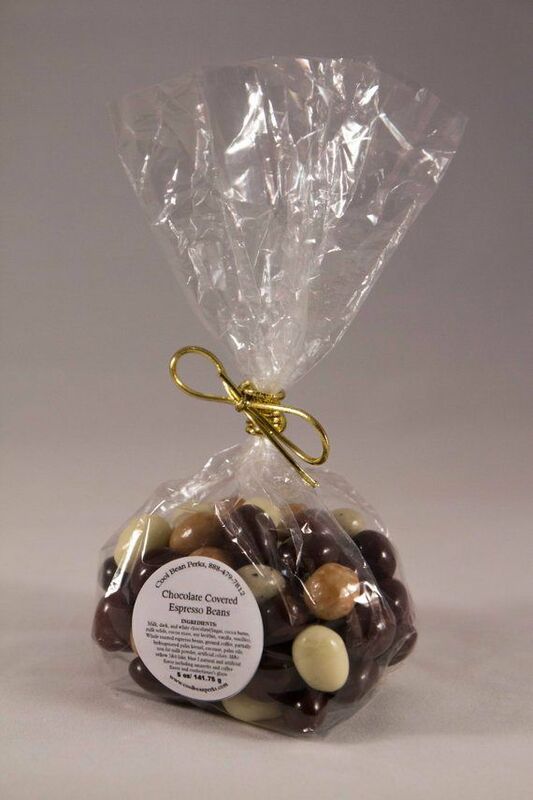 If you aren't interested in the aforementioned flavors, indulge in a custom bulk order to pick from the flavors you want for your gift or even wedding favor. This handmade coffee candy is a beautiful crystal colored square filled with the delicious flavor of coffee. There are 10 flavors to pick from or you can also request a particular favorite flavoring for a custom order (Select from: Coffee, Hazelnut, Pecan, Amaretto, French Vanilla, Pumpkin Spice, Irish Cream, Caramel, Cappuccino, or Mocha). Embark on a coffee inspired hard candy binge and sample your favorites. 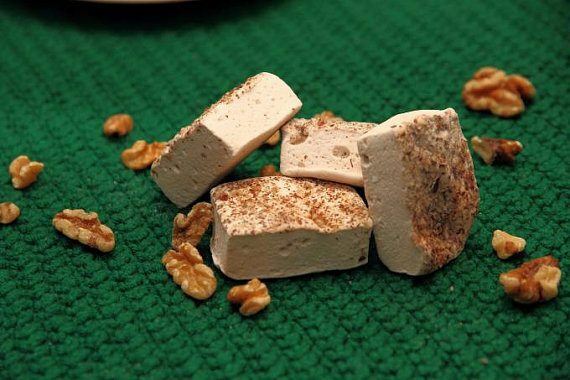 Each type of candy is made from fresh organic brewed coffee, real milk (if applicable), and other naturally sourced flavors such as real ground hazelnuts or pecans. It's hard to pick when the choices are this good! Need we explain further? These decadent, fluffy, and gorgeous marshmallow candies are an awesome addition to your next party or gathering. Using the flavor of brewed coffee as well as real caramel sauce and crushed pecans, this refreshment is sure to please. These can even be made dairy-free with the substitution of caramel flavoring instead of the milk based caramel sauce. If you need something to spruce up the desert table, this unique candy slash dessert is just right. Just when you thought that this list was coming to an end, along comes this popcorn. 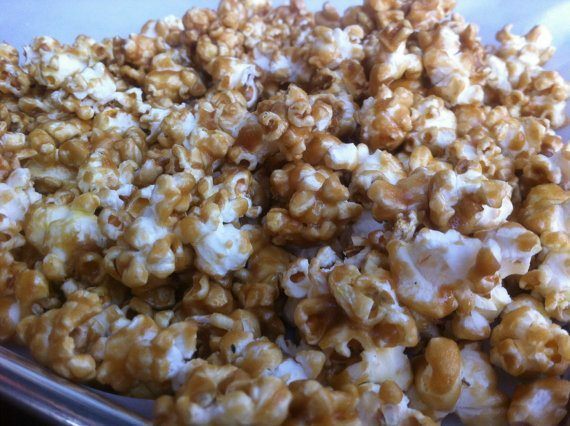 Coated in sticky caramel with the essence of french roast coffee, it's popcorn meant to impress and make it hard to just have one piece. 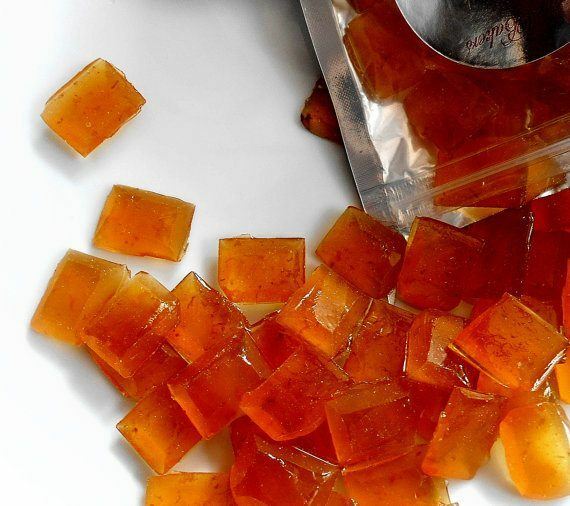 This versatile candied snack is more hearty than other sweet offerings. Order it by 10 ounce bags directly from the New Orleans kitchen it comes from. Specialty popcorn is getting serious and if you were looking to fill a certain craving, this salty sweet delight does it right. 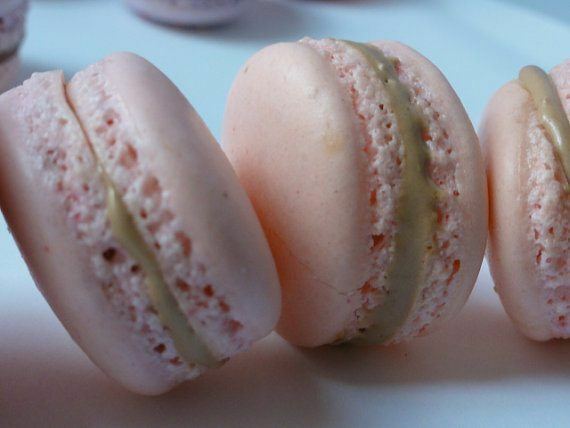 Nothing says bridal shower material like pale pink French macarons filled with buttercream flavored with coffee. Even if the occasion is less than matrimonial, satisfy the urge for an impressively light and delicate bonbon with certainty. You can't go wrong with the elegance of macarons. You can even special request embellishments such as silver dots or other types of custom elements. Made from coffee roasted by Apropos roasters, these delightful handmade lollipops will melt in your mouth and also melt your heart. If you don't like the sound of a peppermint latte, try arranging a custom order with your favorite coffee drink inspiration. Made from all natural ingredients like peppermint buttercream simple syrup, micro-ground coffee, and vanilla with a touch of chocolate simple syrup for a hint of mocha flavor. Enjoy the gentle energy boost you'll feel when you try these lollipops. Don't forget that one of the best combinations of candy and coffee comes in the form of chocolate. Marrying these two flavors together brings out the best in each as they both contain copious amounts of different flavors. Crushed Sumatra coffee beans highlight the dark chocolate goodness while adding a satisfactory crunch. Enjoy as an afternoon snack and pep up with the caffeine present in each bite.